Kids at McLeod Children’s Hospital enjoyed pre-Thanksgiving turkey and ham subs provided by local owners of SUBWAY® restaurants in an effort to raise awareness and dollars for new monitors in the 40-bed Neonatal Intensive Care Unit in Florence. On Thursday, Nov. 17, sub shops across the Pee Dee and Grand Strand will donate a portion of the day’s sales to local CMN Hospitals. Participating sub shops expect to collectively contribute approximately $25,000 to Children’s Miracle Network Hospitals® that serve sick and injured children in their local communities. 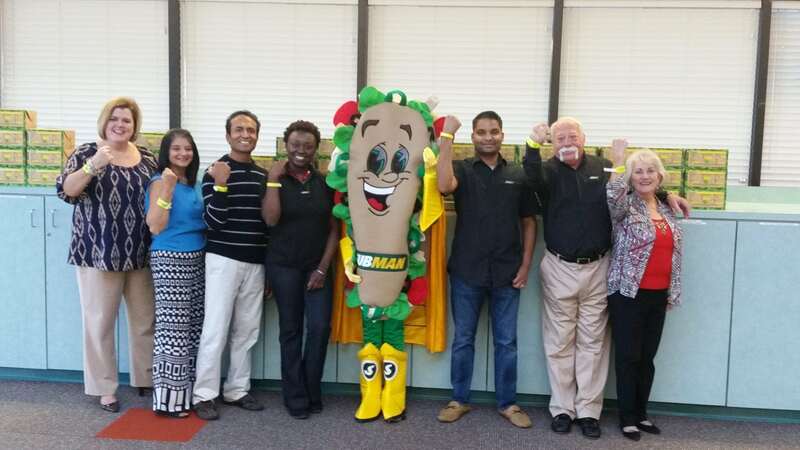 This is SUBWAY® restaurant’s first campaign for Children’s Miracle Network Hospitals® the Carolinas and Georgia. Benefiting hospitals include: Children’s Hospital of Georgia (Augusta, GA), Dwaine and Cynthia Willett Children’s Hospital of Savannah (Savannah, GA), Greenville Health System (Greenville, SC), McLeod Children’s Hospital (Florence-Myrtle Beach, NC), Medical University of South Carolina Shawn Jenkins Children’s Hospital (Charleston, SC), and Palmetto Health Children’s Hospital (Columbia, SC). Previous post: South Carolina CMN Hospital’s Champion Celebrates 16th Birthday!